Despite a growing reliance on complex industrial automation technologies, there is still a need for discrete, standalone devices such as buttons, switches and indicators. 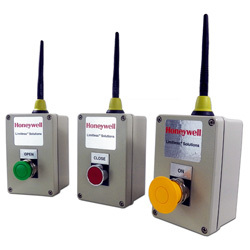 Limitless wireless operator interface (WOI) is a packaged, pushbutton controller with momentary and maintained contacts. Users choose and install the needed operator (22-mm rotary or key switch) or a pushbutton. WOI Series targets remote monitoring applications, where wiring or wire maintenance would be expensive or is physically impossible.